Sunday mornings are an important time in the life of our congregation when, in the words of John Wesley, we come together to "watch over one another in love" and "build each other up in the Body of Christ." Our service begins at 10:00 a.m. and lasts about an hour. During this time, we pray and sing together and hear the spoken word. 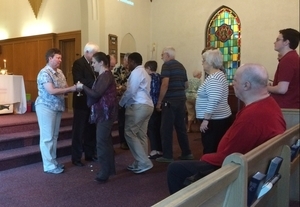 Communion is offered on the first Sunday of each month. The message is usually delivered by Rev. 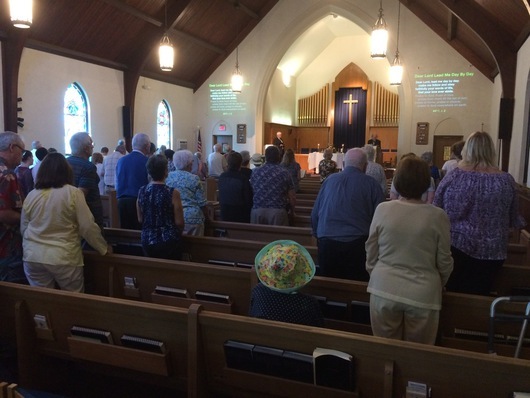 Ledbetter, but when there is a fifth Sunday in the month, the service is led by laity. Following the service is a time for casual, warm, and welcoming fellowship with refreshments. A detailed description of the Sunday morning worship experience can be found in the Visitor's Guide. 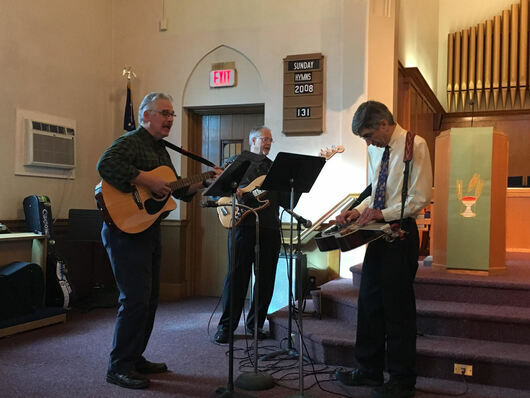 Music is a vital component of worship at EPUMC and spans a range of genres -- traditional and contemporary hymns, classical, spirituals, jazz, and bluegrass. The Chancel Choir is open to all. The choir usually performs one anthem every Sunday. 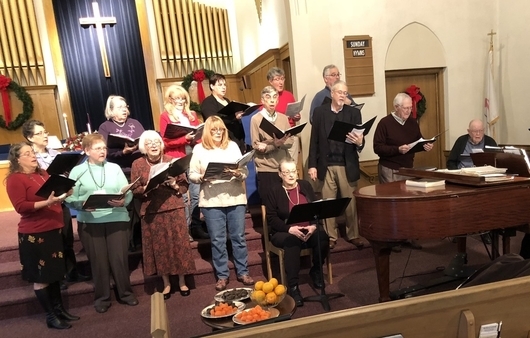 Rehearsals take place on Wednesday evenings at 7:00 p.m. and Sunday mornings at 9:15 a.m. Vocal and instrumental solos in the worship service are also enthusiastically welcomed. And if you're into acoustic music, you might wish to team up with the Front Porch Rockers who accompany hymns and contemporary songs from time to time. 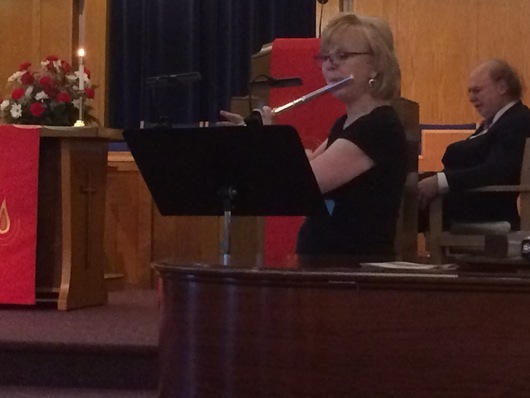 If you are interested in being part of the music program, talk to our music director, Betsy Lehmann, after Sunday worship or call the church office at 518-374-4306.